Former Arkansas Gov. Mike Huckabee created ‘Chick-fil-A Appreciation Day’ to support the fast-food chain after a boycott ordered by gay marriage activists. 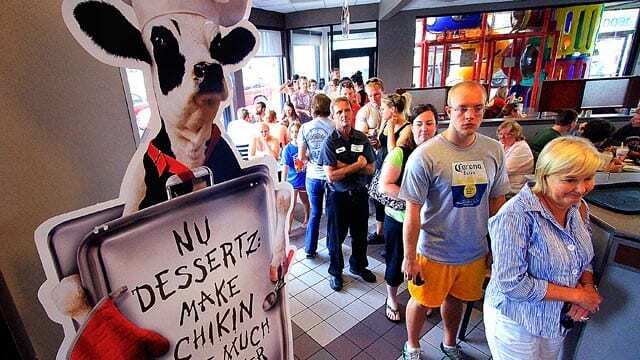 The boycott began after Chick-fil-A CEO Dan Cathy said he didn’t support gay marriage. This entry was posted on August 2nd 2012 at 3:00pm/15:00 and is filed under Live News Column 1. You can follow any responses to this entry through the RSS 2.0 feed.